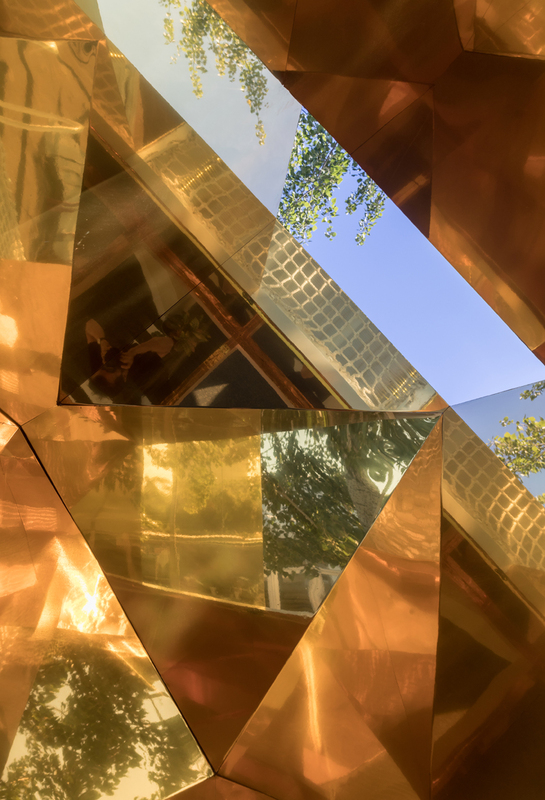 BJDW beijing design week 2018 offers an expansive overview of china’s transforming design landscape, while serving as a laboratory for innovative perspectives from industry and academia that inspire and shape contemporary design discourse and practice. beijing design week has come to represent a critical moment of encounter for design professionals and the public to take part in a multifaceted urban storytelling, with a variegated set of interventions around dozens of the city’s iconic areas, districts, cultural and commercial venues. with eight years of practices and learning, beijing design has developed ten major sections: design night, theme exhibition, guest city, design expo, design trade, design awards, beijing design forum, design hop, and fashion beijing. 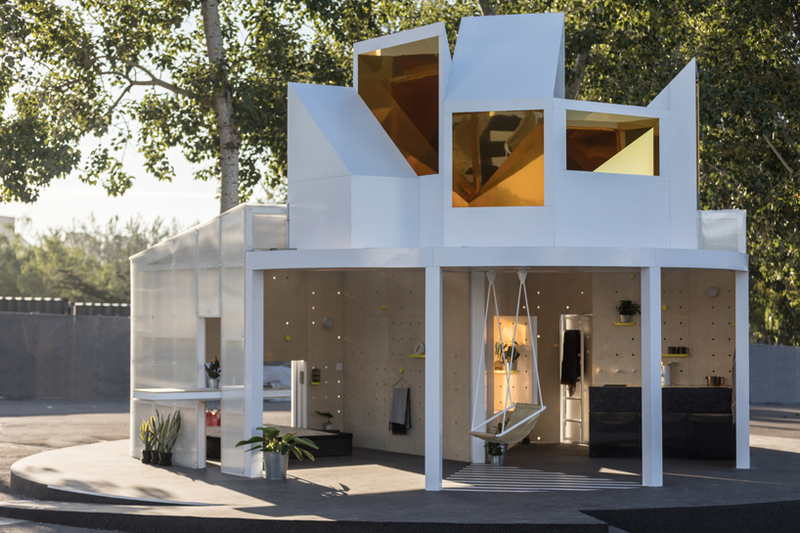 inspired by traditional hutongs but modernizing their principles to explore new and improved ideas of urban living, MINI LIVING presents the fourth interpretation of the urban cabin concept. 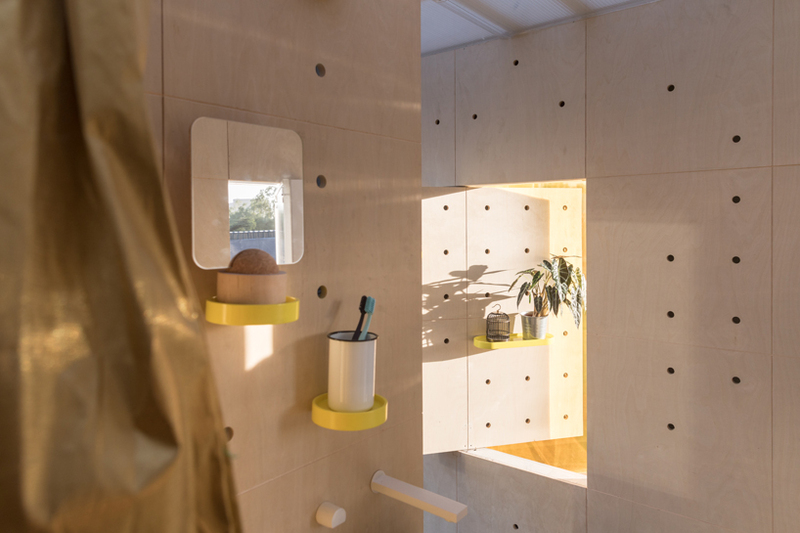 the latest design follows previous stops in london, new york city and los angeles, once again furthering the ideas for maximum quality of living within a minimum space. 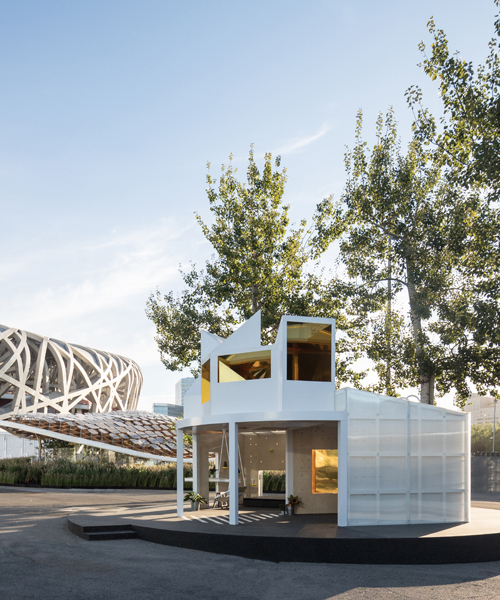 from september 21 to november 6, 2018, the fourth MINI LIVING urban cabin is open to explore at the china house vision architecture exhibition in beijing. 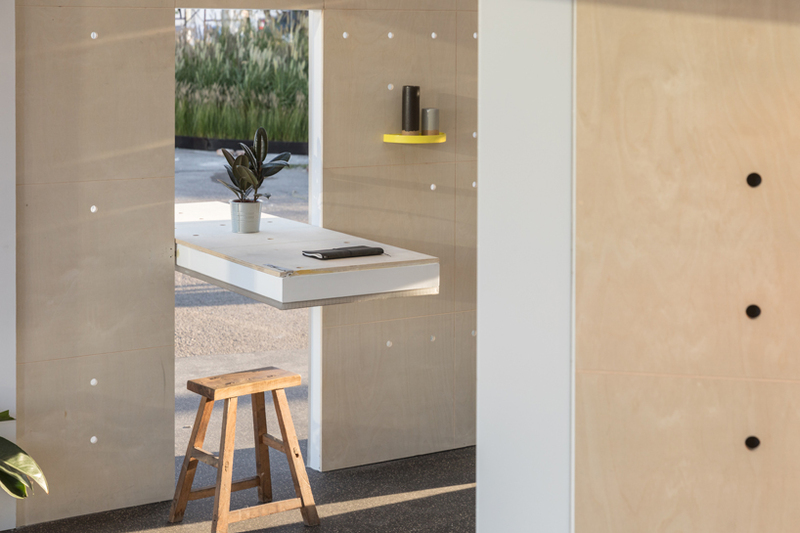 in a surface area of just 15m², the MINI LIVING urban cabin was first initiated in 2017 with the aim of finding creative solutions to issues facing the world’s cities, such as space shortage. their ‘creative use of space’ philosophy challenges their designers to provide temporary living spaces with a high degree of flexibility. additionally, most importantly, as the concept moves around the globe, each edition focuses on the identity and culture of the specific location. as their latest source of inspiration, beijing influences the cabin’s design through the architecture and social aspects of hutongs, which are common features in chinese cities composed of residences made up of courtyard buildings and alleyways. as such, its central theme explores how to create a new sense of community but whilst also providing maximum quality of life within a minimal space. the re-interpretation of beijing’s traditional housing looks to stimulate dialogue with visitors of the fair and encourage creative solutions for the urban future in china and around the globe. as a cool, striking vision of white, the cabin features a rounded form with sections sliced away and open to the environment. in comparison, the roof is anything but smooth. 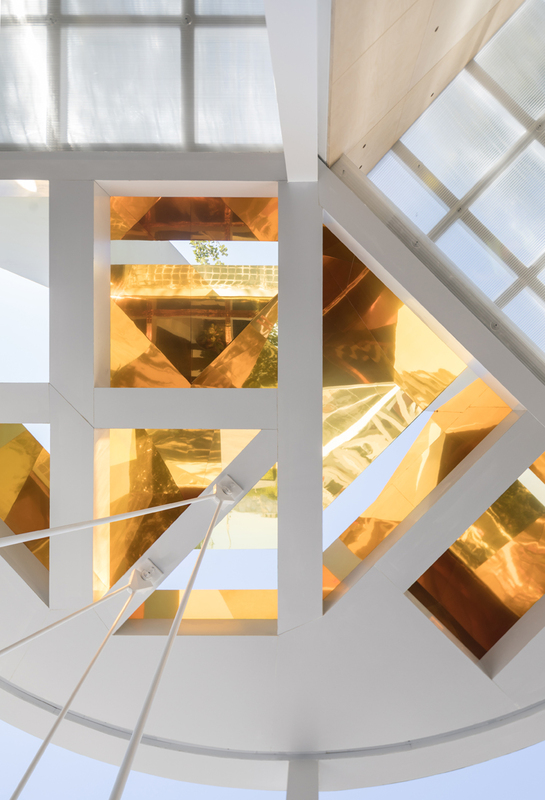 extrusions extend skywards, channelling an array of light downwards through its golden-painted interior to flood the rooms below. 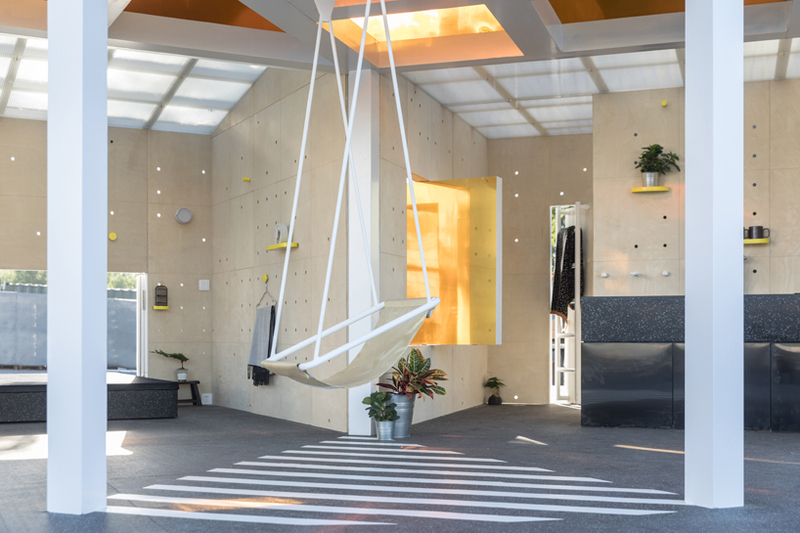 consisting of three formal elements, MINI LIVING’s design team has created the living and sleeping area on one side and the kitchen and bathroom on the other. both sections detail neat, ingenious design features that add an element of fun and flexibility, such as folding windows and tables. 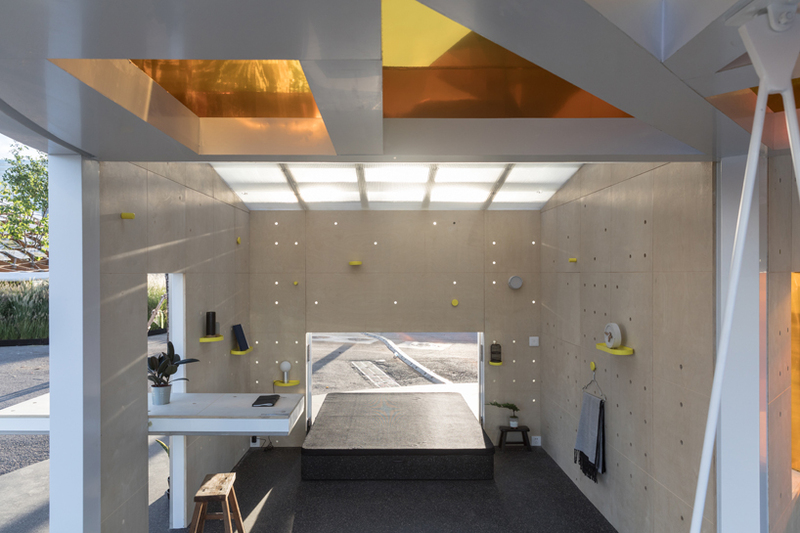 as traditional in the urban cabin concept, the third section is an experiential space created by a local architect. dayong sun, founding partner of penda, shares his expertise to modernize the hutong theme and creates a large open space within the design. this courtyard-like area can be accessed through a variety of passageways and clearings, forming a space for encounters but also moments of privacy. 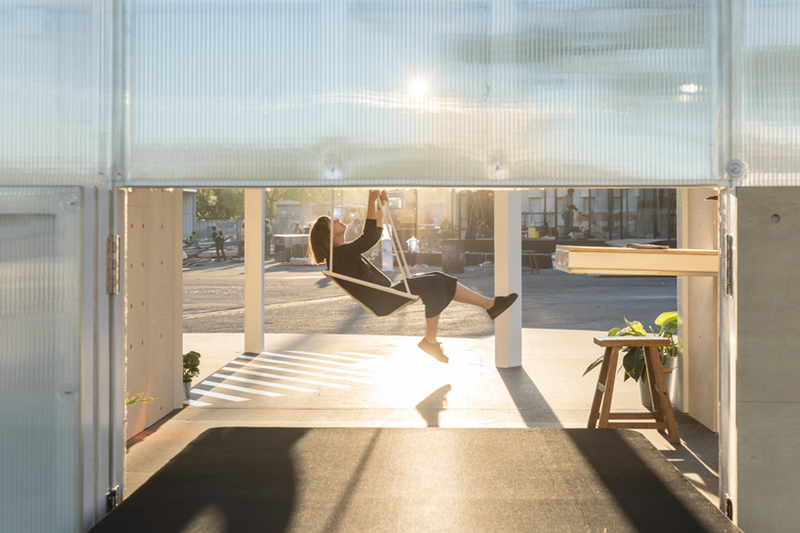 at the center of the third section, a swing completes the community space with a sense of playfulness. visitors can enjoy themselves whilst relaxing and socializing. as well, the communal room features storage and seating facilities dotted around, which are reminiscently-shaped like chinese tangram puzzles. 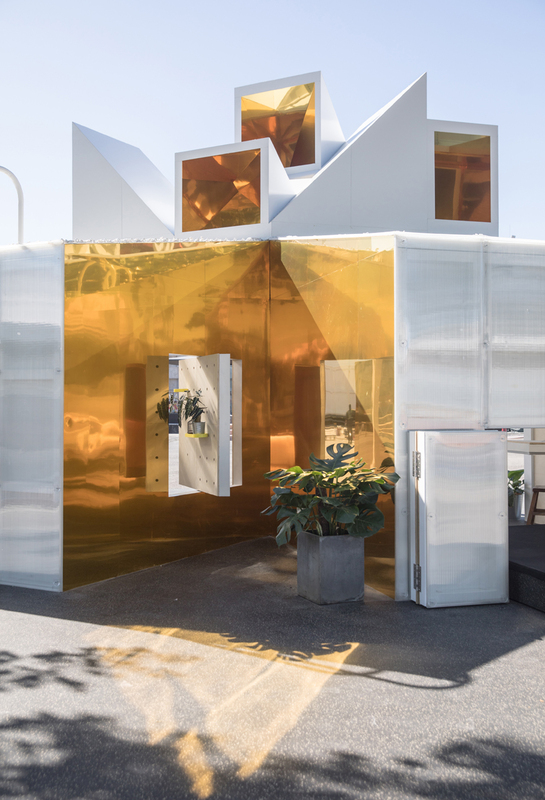 with golden mirrors cladding its ceiling and walls of its corridors, the interactive space exemplifies how the micro-home reflects the environment, people and encounters.